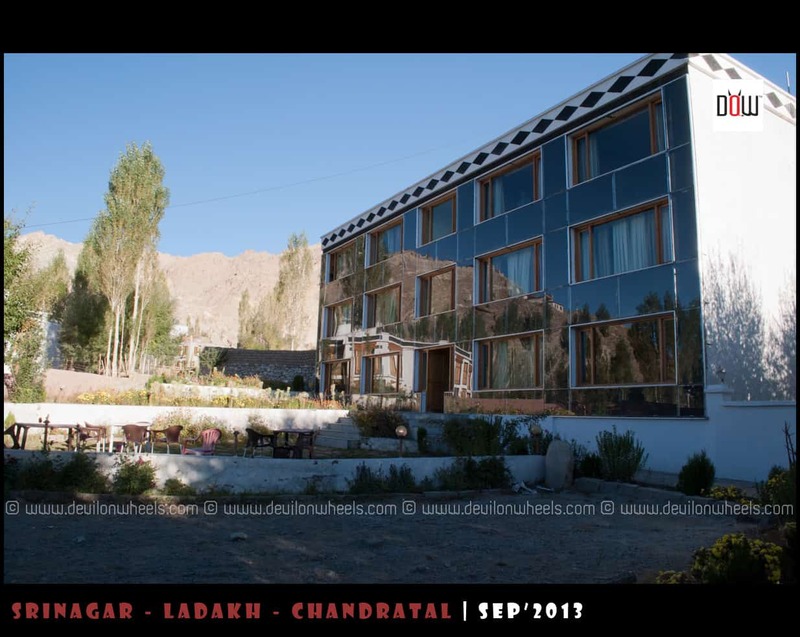 In this second article of the series – Preferred Hotels or Accommodation options in Leh – Ladakh, I am enlisting down some of the preferred places to stay in Leh – Ladakh which are moderate budget (Rs 1200 – 2000) types accommodation. So, if you are looking for a decent, clean and comfortable but moderate budget options of stay in Leh – Ladakh then you can refer the list of below guest houses or hotels compiled after reading various resources/reviews of many people over Internet mainly IndiaMike and BCMT forums (of course, I cannot stay in all of them 😉 ). Most of these places are ideal to stay with family as well because they offer decent comfort and facilities which a family may require but looking out for moderate range budget accommodation options. However, if you are looking for an exceptional in-room service, finest linen, luxurious and ultra comfortable rooms in a hotel and that too for a price range of Rs 1500 – 2000 then perhaps this list may not be for you. Well, you may find one or two such services too in the below guest houses but no certainty. Very Nice and decent stay with view of Leh Palace. Both Main Market and Changspa road are very near to it. Rooms at right side of staircase are much smaller and gets too hot in daytime, so choose rooms to the right as you get off the staircase. Hotel Panorama: Stayed there on DoW Mega Meet 2013, The hotel was good with very decent, comfortable and cozy rooms. The hotel is located at Shanti Stupa road, very near to Changspa road and just ahead of Shanti Guest House or Oriental Guest House. The quality & taste of food served was very good. Oriental Guest House: Very much Recommended but generally runs full during season so planned booking required. Nice place to stay, good, clean and comfortable rooms. Nice garden, just before Shanti Guest House. Shanti Stupa and Changspa Road are very near by. In night, you need a stick for stray dogs and torchlit as there is no street light on road leading to the guest house. Asia Guest House and Hotel: Economic, good, clean, homley and very much Recommended. Nice little garden and Wi-Fi too now-a-days. Right on Chanspa road means lots of cuisines near by the hotel including the famous Jeevan Cafe. Asia Hotel run by the same owner as a part of same complex (though rooms, kitchen, sit-out areas separate)	is also equally good. But, the prices are a bit higher for hotel as compared to the Guest House whose rooms are basic but almost equally comfortable as compared to the hotel. Sia La Guest House: Highly Recommended if it suits your budget and you are with a family. Nice, clean and quite option of stay. Very central and close to market, lovely garden, running hot water and very tasty food. Parking is a problem and needs to be done on main road. Kidar Guest House: Very much recommended. Great quality + cleanliness of rooms, good ambience. Well furnished, with clean toilets and linen. Running hot water available in the morning but anytime in buckets. Traditional Ladakhi style dining rooms being home stay. Shanti Guest House: Economic, good, clean, homley. Shanti Stupa and Changspa Road are very near by. Parking on road but not an issue. Getting to average place to stay for past couple years. In night, you need a stick for stray dogs and torchlit as there is no street light on road leading to the guest house. Mountain Retreat Guest House: Nice, clean rooms and complete value for money. Near Shanti Stupa and Changspa Road. Horzey Hotel: Spacious rooms with hot water supply. Very near to main market and is run under Youth Hostel Association. So, if you have Youth Hostel membership then it is nice deal for you. Horpo Guest House: Good hospitality, clean rooms and excellant food. I hope you find the above list of moderate budget hotels or accommodation options useful for your upcoming Leh – Ladakh trip. If you happen to know any updated contact numbers or missing contact numbers of these hotels or any other nice, moderate budget option of stay in Leh town, kindly leave a comment as it will be helpful to others as well. If you have ever stayed at any of these hotels, please share your experience with us too. In the end, again these hotels or guest houses are not for people who are looking for luxury and ultra comfort and in case may be not even suitable for family as well. However, for bachelors or backpackers or others who want cheap/economic options of stay for longer duration in around Leh Ladakh, these hotels may be worth to look out. Thanks for your detailed explaination Dheeraj. I have been advised to stay at Ladakh Terrain camp (June second week), which is new campsite in Hunder as per them. I could not find any details over web, and could not locate it on map. Do you have any idea about its location and any reviews available? Sorry Nigam, no idea about that camp. Planning to travel by srinagar leh road route to leh in july 2017. Can i travel from jammu to sonemarg and onwards to leh, bypassing srinagar and vicinity totally? can i carry rechargeable batteries for use with my canon powershot camera on my trip to leh and back? is it mediically safe to travel back by flight from leh to delhi: healthwise? i am male age 55 years with no known issues. Not exactly as you have to travel through Srinagar only but you can skip the night stay. You can carry batteries. Yes, leh to delhi should be good. Thanks a heap for the advice. Your help is of immense value. very practical, very hands on, and i can see the trip as doable. you are doing a great job in spreading practical knowledge. I shall do a short write up of the trip after completion, Is it ok? Continuing with our discussion “I think it looks OK, else check with Kidar as well. ” , Can you please provide me Kidar contact number please?. Sagar I will suggest you go with Greenland Hotel, I always stay there in Kargil and it is a decent place to stay. Please let me know your views about Leh resort which is run by JKTDC. Is it ok for staying? Your advice please. There are many other decent options, why do you want to stay at JKTDC resort in Leh? Never heard much about it anyhow. 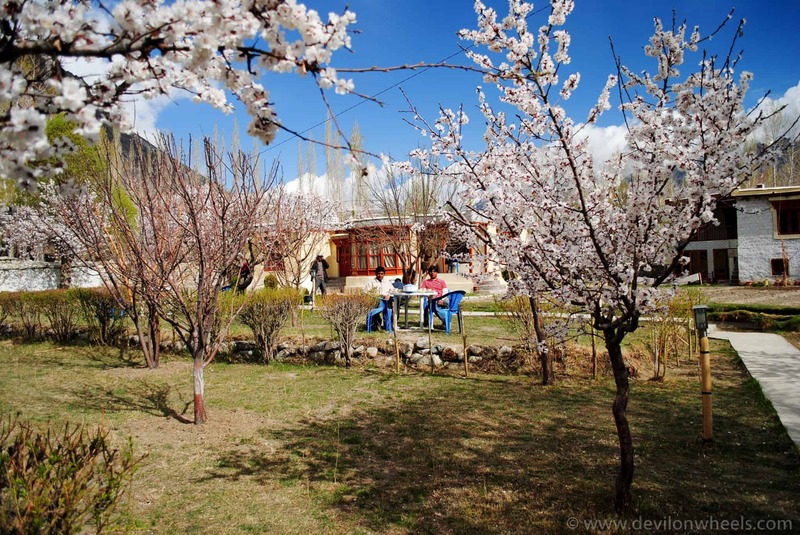 Hi Dheeraj, Recommending Mandalchen guest house in Leh. It’s a new property. Very nice and clean, run by 2 sisters. They are very kind and helpful. Very good homely food, hot (geyser) and cold water available 24hrs. They have a garden with garden table. The view of snowy peaks are awesome from this guesthouse. Parking place is also available. Wi fi available. Can you please provide me Mandalchen guest house number? We are a group of 5 people who will travelling in early september to leh. Please let me know if they provide advance booking option. Sorry Dipika, do not have the contact for them. Hi dheeraj, The information shared by you is way too good. Bipin ji, that guest houses I know are available above in the articles. You can check with them. You will ave to arrange the taxi For the leh – ladakh taxi union rate list 2016 – 17 including the contacts of some reliable taxi drivers within Leh – Ladakh, check the link here. You can get about 12-15% of discount by directly getting in touch with drivers and of course, talking in person rather on phone always help in bargaining more. what is your experience with such a small child?? Last year I followed your advice on itinerary & had a fantastic roadtrip to Lahaula & Spiti from Delhi. 2)- We’re travelling with kids. Will we get enough time for acclimatization? 3)- I’ve been reading really scary stories of night stays at Tso Moriri & Pang,..basically saying that because of the altitude, night stay should be avoided. What’s your recommendation? What’s your recommendation for the night halts on the way from Leh to Manali? 4)- Good (and safe) hotels for this entire itinerary. Thanks again for your help Dheeraj. Your guidance is much appreciated. 1. Your plan looks good to me Rahul. You can make it. instead do Tso Moriri to Sarchu, Pang you will reach in no time. 2. YEs, it is a good plan, you are doing it nicely. 3. Dont worry, it should be fine since you will be acclimatized. Sleep at Sarchu, in case you feel too much worried, start early from Tso moriri and reach Jispa. Thanks so much for your response Dheeraj. One last question- What’s with the ‘Inner Line Permit’ being discussed on some blogs? What does it do & how to get it? 4.my daughter will have any health problem. 5.most of the budget hotels are showing booked in may can i still get there. 3. Nubra and PAngong Tso remain open all round the year. 6. If you all are indians, no permits required. I have a doubt for the trip I’m planning for next August. or is it recommended to book only for the first few days of acclimatization and every time I return from a overnight tour search a new room? I would not pay for the nights that I’m not in the hotel but I would not even too crazy every time I return from a tour to look for a new room, considering in August is high season. I will travel alone with shared taxis so I don’t know with accuracy the days when I leave for the various tours. Well, mostly if you are OK to search few places after reaching the place and are not particular about any hotel choice or name, then you will get it on the spot. Most of the time if rooms are available during your return dates, hotel guys keep the room for you at the same rates you bargained for the first time and do not charge for the nights you do not stay. You can use their store room to store some luggage too if you wish to not to carry extra. Most of the low budget guest houses listed above are quite flexible. Such a wonderful job you have done. Bravo!! We are a group of three friends going to Leh on the 13th of Feb 2016. Have been going to Ladakh every year for past 4 years but only in Sept-Oct. This time I want to enjoy the winters there. Can you help me with a few queries. 1. Hotels that won’t charge a bomb around Leh market. Changspa road will be too far for daily visits. 3. how much will a day trip to Pangong and an overnight trip to Nubra Valley cost for the cab hire (A Xylo or Innova). Approximate amounts will do. Will help me plan my finances better. 4. most important – i have heard that electricity and water supply is very limited in winters. Also the normal toilets with flushing facilities are done away with. Is that true? Please help me with the above. Will be a great help. Hi Pranab, are you still looking for the answers? Hi Dheeraj….I have the same questions as Pranab. I am going to visit Leh on Feb 6th to 13th Feb. Would you please advise if I will find any homestays in leh. Also since I am travelling solo am a little concerned about the cost to visit Pangong and Khardungla during this season, not sure if I will find other travellers to share a cab. Regarding stays, you will be able to find homestays in Leh, you can get in touch with Shanti Guest House there remain mostly operational all round the year. i would like to visit ladakh in mid january… any difficulty and problm will i face or not..??? Prabhu, you can check: Leh – Ladakh in Winters – Most Common Itinerary & Tips and check initial few days in that order only as per your plan. I planning a potential trip with the wifey in first week of october. While looking up places on tripadvisor, I came across one Hotel Nalanda Ladakh in Leh with pretty favorable reviews. Are you aware of this place and if so, how would you rate it. We will be travelling to Ladakh in 1st week of Sept. Ours is 2 week ride. I am currently evaluating option to go to Turtuk. But I head from locals in Nubra that it is no different than Nubra. Can you please suggest if I can choose Sakti (on the way to pangong) over Turtuk. If yes, can you please suggest stay options at Sakti to accommodate 20 ppl. Kundan, Turtuk is a magical place, so please do ensure that you visit if you are planning a 3 day trip to Nubra Valley. I will visit Leh on 18th October, 2015 with my wife and 6 years old son. It will be winter then so most of the hotels and guest houses will be closed, and the major requirements would be either centrally heated room or room heater. Do you have any idea which of the above hotels/guest houses/home stays are perfect for my situations, also the close to market/restaurant would be preferred. Please suggest. Sougata, sorry but I doubt any of the moderate hotels will have centralised heating system in place. I understand that Shanti Guest House do remain open in winters too but guess they have room heaters. You can check with them. That is on Shanti Stupa road which is near to Changspa but mostly changspa will be closed so main market will be a little far in comparison. Thank you Dheeraj. I have checked some of the guest houses you mentioned and finally booked in Sia La, got a decent rate and this is very close to the main market. They provide room heater on demand, but Mr. Nabilay told that all their rooms are cozy enough so it will not be required in October. Also I will stay one night in Hunder in Habib guest house. Again thanks for these great information. 1. I called and they quoted my price of 2000/- per day for a double bedroom. is it fine ? 2. He said heater are not needed during 3rd week of Aug but if you need you need to pay 500/- extra per night. is it fine ? 3. He told we can provide you taxi for pick and drop from airport but you have to bear the charges, how much it should be ? I think it looks OK, else check with Kidar as well. They are also quite nice. Yes, no need of any heater in August bro. Regarding pick and drop, try to negotiate else you may have to shell out about Rs 600 for the airport transfers. I would also be visiting Leh in winters, arriving there on 16th Oct with my wife for a week. Understand that quite a few places might be closed and accommodation is an issue at Nubra valley and Pangong lake. If you could share your itinerary with me, it would be of immense help for me. We are 2 persons travellinhg to leh from 21st August to 28th Aug2015,could you please suggest some budget homestays in leh and travel . Would be grateful for your assistance as we are travelling on our own, you know like a road trip. Seema, please check the article link provided in the above article at the top for Cheap Options of staying in Leh. Reviews seem to be pretty good. Otherwise thinking to book Oriental for first couple of days then book there only later… they are asking 2400 for their hotel (saying guest house is full)..
Rahul, go for it then in case you feel review is good. Else Oriental will not disappoint either so as Panorama next to it. Hi Dheeraj, Thanks a lot for sharing all this information on your website. It has helped me a lot in planning my Laddakh trip. I needed some advice for my trip. We are a group of 7 boys going to Laddakh between Aug 2-13. We are planning to stay in Keylong, Sarchu, Leh, Pangong Tso, Nubra and Tso Moriri. The online bookings for hotels and tents we inquired about were very expensive, to the tune of 4000 per tent of two. From your articles, I know that on spot booking will be much cheaper. Can you advice at which of the above mentioned places, should we go for advance booking and at which places should can we get accommodation easily during August. We are not particular about any luxury accommodation, but we will be on bikes and would not like to search too much everyday after whole day’s biking. Nikhil, except Tso Moriri most places you will get the on the spot bookings in case you ready to search 3-4 places and are OK with quite basic place to stay in case nothing works out. Thats the risk you need to take it. Hi Dheeraj, based on your suggestions we have planned a trip from srinagar to leh and then to Manali… We will be in leh for five days(between July 5th and 9th) can you please advice of we definitely need to book accommodation in advance or can we just go there and check for best price.. Please advice and also do note that this is a budget trip:).. Once again waiting for your suggestion.. Thanks an advance..
Shankar, in case you are fine to search few places here and there and do not have any particular place of stay in mind, then please go ahead with the on spot booking. we have planned a trip to ladakh on 5th of november this year, we r a group of five , how would be the weather at that time of the year. will it be okay to visit in november. Hi, I along with 5 more will b travelling to Leh in the last week of Sept. While going to Tso Moriri from Pangong will like to make a night stay in Upshi or any other better place. Kindly share if any good accommodation is available on the way to Tso Moriri or not. Also, kindly guide us if one can make a day trip to Tso Moriri from Leh & how much time it takes. There is no accommodation apart form basic homestays at Upshi and Hot Srping Resort at Chumathang which is also quite basic but have attached washrooms and running water. 1. I would give myself atleast a day for acclamatization and try visiting places around leh on the second day(if my body adapts well by then) for which i might want to try JKSRTC buses(if any?). If not, is cycling recommended and can i get bicycles on rent? 2. Does Indian Army allow civilians to stay at the Holiday Home in Leh with a charge? Or is it strictly for officers and families? 3. Is the route to Pangong Tso open in the last week of this month? If yes, is there any way to reach apart from hiring/sharing a cab(or renting a bike)? 4. Since I’ve been left with no option but to fly in and out, I am kinda on a budget. Do you think a budget of about 15-20K would be enough in your opinion(I plan to stay at the Shaolin guesthouse as suggested by a friend who stayed earlier)? 5. Does Airtel Postpaid from other Indian states work in Leh? 6. Is walking around on long walks in the day(if my body manages to of course, i dont intend to take AMS lightly at all) okay or unwelcome by locals and the Army? I Hope that the routes to Nubra Valley and Pangong Lake would be open but even if they arent(although i would be a bit disappointed) i would still want to explore as much as i can for my own good. It would be great if you can throw some light on the road status. 1. Get bike on rent, body will not be acclimatized that much to do cycling on the second day itself. 3. Bikes are not allowed till end of April on this route though route will be open. You need to get and find some taxi. 6. Walking is fine after 2-3 days of acclimatization in Leh and around. Santosh, February is not an ideal time to visit Ladakh in case you never have been to High Altitude places. It will be extremely harsh to survive and very cold unless you are that adventurous, it is not at all recommended. Santosh, you can get in touch with [email protected] in case you are unable to get in touch with above contact and see if they have any updated info. for it. Satwik, You can pitch your own tents anywhere but I will suggest you pitch them at a place where there are some dhabha tents put up by locals or where other camping guy pitch theirs or somewhere near some house in village or in their garden/lawn. All you will need is to gently ask them (villagers/dhabha guys/camping guys) for permissions. Most likely they will allow, other wise negotiate for small little tip or move on to some other such place nearby. This will give you sense of security too. For information on pitching your own camps in Leh – Ladakh, please refer our FAQ in the community: FAQ | Can I pitch my own tents or camps anywhere in Ladakh? You will be able to get camping gear on rent in Leh and most likely in Manali too. we just now made a booking in the Sia La hotel in Leh. Thought of letting you know that the rates for double bed rooms have gone up from Rs.1200 to Rs.1800. Earlier communication with Sia La had pegged the rates at Rs.1200 but from April 2015, rates have been hiked to Rs.1800 – thought you might want to update your blog. Thank you for the update, I have updated the article. Thank you. But, it is really sad to see rates increasing like anything in Ladakh for all the hotels and guest houses with the steep influx of tourists. Regarding between the places Lamayuru and Uley, well Uley is near the river while Lamayuru is much like a village. Hence, the difference in rates. Based on the preference you can choose whether to stay near the river or in a village. Also, check with [email protected] too about the prices as they offer nice discounts on reference of DoW in case you are pre-booking. May be they have better rates for them too. I am planning for a motorcycle trip to Leh- Ladakh via Manali with a couple of friends. We are planning to go in August. Can we go on our own? We know there are agencies who conduct this tour but they charge a huge amount. I would like to know if we go on our own then what are the risks/problems associated and how it can be resolved? Pradipta, yea, sure you can go on your own. This website has all the information you need to make a successful trip to Ladakh. You do not need to go through any agent if you are OK to plan it on your own. You can shoot any queries you have for your Ladakh trip planning here. Thanks a lot for your prompt reply. My only concern is if we face any issues with the bike then where can we get hold of a mechanic to fix it. I would like to know what is the amount that we have to deposit if we rent a bike from Manali? It is indeed a very helpful site and it covers each and everything one needs to know to go for this trip. But I just heard a terrible news that bikes rented from outside Ladakh will not be allowed and we have to take another bike on rent from the locals, which means the cost is going up. Again, if I have to carry one mechanic and a car just to carry the spare parts and luggage then the cost will creep up. If you can advise how to complete this trip within 40-45k then it will be very helpful. Pradipta, how many people are you there who will be doing the ride? The mechanic and backup vehicle can be arranged too separately but the cost factor should depend upon the number of people yo guys have. Also, you can get in touch with [email protected] as one of the readers suggested good feedback for them in such a tour where mechanic as well as backup vehicle was arranged by them. 3 of us will be doing this ride. We want to keep it under 45k. Is it possible? With Mechanic and support vehicle it will be extremely tough I feel because a round trip in normal taxi from Manali to Srinagar including Ladakh costs about 50-60K, then mechanic charges of about 1500-2000 per day. But, still try to get a quote from them, may be if there are some means. Can move to Karu directly from Nubra and stay overnight and next day towards Spangmik? then Hanley then Korzok/Tsomoriri then Tso Kar and directly to Sarchu? How is the road? Can it be comfortably done? Debashish, you can but Karu – Leh is just 45-50 minutes drive and places of stay at Karu or Upshi will be minimal or very basic. So, it is better to start early a next day to cover this extra distance I feel. At least it gives a better comfortable sleep and better food options in Leh. Spangmik to Hanle is subject to permits you get or not from DC Office and then if army allows you through Chusul even after having permits. Comfortable roads is not a situation when you are beyond Lukung, the road to Loma from Lukung is all dirt track. Thanks for your reply. Could you please tell that if we are barred at Chusul and turned back, then what is the alternate possibility to visit Hanle then? I would be travelling to Leh during Jan for Chadar Trek. But we wanted to stay for 2-3 days extra in Leh after the trek to visit Pangong or Nubra. Since walking down from Changspa to the market during winter will be taxing, we wanted to avoid the hotels there. Could you suggest any other decent stay options near the market? Abhijit, only handful of hotels remain operational during winters. Check out with Lasermo, Tso Kar Hotel, if they are open. I want to mention the name of one Driver Mr. Nabi who drives a Xylo and he took us arround to pangond, nubra, and tsomoriri…. His number is – 09469216100. He was such a wonderful company in the journey and stopped the vehicle at every point i requested as i wanted to photograph nature and family. He took us around to decent hotels as we requested him and put us up in safe places. I thank him from the bottom of my heart. I recommend him as a driver to all those wanting to visit Leh and around. If you happen to meet him do say hello on my behalf! He gave us discount too. We are planning Ladakh trip next year June with a group of 5 ppl including females. The trip would be Srinagar-Kargil-Leh-Pangong-Tsomoriri-Nubra then Manali back the to Delhi via Volvo. We will be hiring a car from Srinagar who will drop us at Manali. Do you think 30K per head means 1Lac 50K is enough to do this trip with all food, accommodation and transport? Debashish, though next year is quite far, but yeah the number you have come up seems decent to me and with 5 people in one taxi, you should be able to get through it with some error. Still no reply from any one.Is some one here to help? When and where did you post the query? I sort them by date and time and reply, so when I start replying first query gets replied first but within 36-48 Hrs most queries are replied, in case not, please repost. i am planning to visit ladakh (25 aug-29 aug).Please suggest me hotel as well as about the climate.Is there any chance to play with snow between this date? There is no chance to play with Snow, may be some remains on high passes. Regarding hotels, the article mentioned above. It has a series of articles for other places in Ladakh too. Also, just 5 days is too less a time for a trip to Ladakh. Climate will be pleasant, dress up in layers as if it gets overcast then it could get cold. One of the best guest houses in Leh which is not mentioned on this site is Wisdom Holiday Home guest house. It is just a 5 minute walk from the main market on Changspa road, in Karzoo, Near circuit house. Avoid all the traffic, noise and chaos of market area. It is very quiet & peaceful and has beautiful green surrounding around it as well as awesome view of Shanti Stupa. Very well maintained by a family and has a homely feel. Excellent rooms. See if you can add the pictures too in that thread. It will be quite helpful for many. Hi Dheeraj. Thanks for posting it on the site. yes I will upload some pics also. Can you please also update the page https://devilonwheels.com/index.php/moderate-budget-hotels-or-accommodation-in-leh-ladakh/ with the details of Wisdom Holiday Home guest house? I and my wife and 7 year old son, are visiting leh from 19 oct 2014 to 2 nov 2014. Please suggest me, the good hotel (rs. 700 to 1000 per day) near happening place in leh from where, i can easily manage my trips to other places in leh ladakh and get a taxi. Kunjal, there are so many listed above. You will not go wrong with them, choose any whichever if open during that period. Also, keep in mind October is closed season and it will be quite quite cold up there in Ladakh and also at lakes it will be extremely cold with no camps running and hence either make a day trip or go prepared with heavy woolens and sleep at some home stay. i have a great recommendation for moderate budget stay… “Hotel Horzey”…. The place is now totally revamped and renovated by the owners who were previously leasing it out to others. The Place is now run by Mother nad Daughter combination! and i have lot of respect for such ventures by women. Not only that the rooms are great for 1200 – 1800 budget ( free wi fi with decent signals to rooms and kitchen and dining facility, 24 hrs hot water, western toilet with decent flush :-P, shower , rooms with view of the mountains – i mean wat more could u ask for the money). The courteousness and helping attitude of the owners who themselves sit at the reception is unbelievable in today’s times… (and believe me i have seen many who pretend to be so for commission sake – but not the case with Horzay) I would definitely recommend it as a moderate budget hotel to even my family members! and would like to stay here again too!! Hello Dheeraj, We are four friends visiting leh from 18 September to 25 september and looking for a four beded nice hotel/guest house near main market. Any recommendation from side? Ladakh festival is starting on 20 september so is there any chances of heavy tourist at that time? Vivek, not ever hotel have 4 beded room and I am not really sure which one has. You can check with Khan Manzil and Asia Guest House as I remember that they used to have big sized rooms. Dear Dheeraj sharma ji we are ready to going srinagar -leh -manali on 19-08-2014 in srinagar and .from 22August to leh (23-24 Nubra,25-26 Pangong Tso,27-28 Tso Moriri and 29 or 30/8 to Manali).if some one share Transportations with us(2 Male 43-48 yr) in these Dates through pls contact on our cell no 09822681244.Dear Dheeraj if you meet some type of tourist pls help us . I am going to visit ladakh by the first week of October 2014 along with my family of six members. Should I book rooms prior to my journey? I contacted one driver who will pick up me from Srinagar to Leh and ladakh tour for five days @ Rs. 35K and appraised that no advance is requred for his car just I have to remind him before two days of comencment of my journey. Should I rely upon this verbal booking? The driver is one of your good drivers’ list. Suvash, most of the drivers do not take any advance but just need to be reminded constantly so that they do not commit to any one else too. I can’t but praise you for your prompt reply and devotion. I seek your suggestions regarding prior hotel booking during the first week of October. Thanks a lot. No hotel bookings required as it is off season in Ladakh with many hotels closed and very less number of tourists around. I am solo traveller, not very fussy in my requirements & love adventure… I am reaching Leh on 30th july 14 by flight. Need your favour to know about few things. – I prefer moderate range hotel, so should I book them before or I can go & search 1 there. -I want to explore the place instead of just going to main point, So how many days do I need for that. -While returning I would prefer to travel by road via manali route. Is there any place where I should take halt, which can add on in my experience. -Boys can hire bike, is there anything which girls can hire to go from one place to another in local. – I have budget approx 20k after reaching leh, is it sufficient? – can you tell me some places where I must go as an explorer. 1. Since you sare not much fussy, so should be OK to search a bit here and there. Hence, no need to book. Take as it comes. Carry the print out the the series of accommodation mentioned here on DoW and call them up once you reach Leh. 2. You will need at least 9-10 days to explore main main attarctions in Ladakh in comfortable manner. 3. Since, you are solo traveler, it will be best to take the HPTDC Bus that runs between Manali and Leh which will halt at Keylong and in fare charge for stay in Keylong + couple of meals along with the fare. You can refer the above itinerary from Day of taking rest in Leh. Please keep in mind that you need at least 2 days of complete rest in Leh for acclimatization where you can search for partners or look for flyers on second or third day in Leh. First day has to be in Leh for complete rest. i will be in Leh-Ladakh between Jul 7 – Jul 11. I need accommodation for 8 people. Kindly share if anything available. Vipul, this is an information sharing platform only. You can use this information to do your tours on your own. However, if you are looking forward for a travel agent or bookings, you can get in touch with guys at [email protected] who had very positive reviews from all the readers so far. Hi dheeraj can you help me in the questions..
How many days take to visit leh ladakh? From leh to vaishnavi devi how many time it takes to travel?